For most people, going to the dentist is as routine as getting their oil changed. But if you're like the one in ten people with severe anxiety, dental visits are anything but routine. What may have begun as a childhood fear has turned for many people into a lifetime avoidance of dental care. Â This absence of dental cleanings, checkups and treatments can have an adverse effect on not only their oral health but their general health too. But there are ways you can reduce dental visit anxiety, beginning first with finding a compassionate dental provider. A good dentist-patient relationship is important for everyone, but more so for people with anxiety. Building a trust relationship with a dentist who listens and accepts your fears without judging is your first step to overcoming them. Though finding an understanding provider is important, it may not be enough in the beginning of your return to regular dental care. 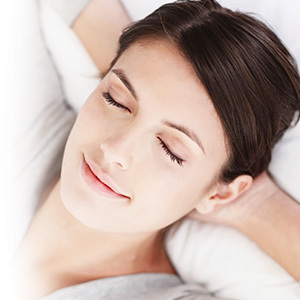 To help you further relax during visits, we can also provide medicinal therapies known collectively as sedation. Although it has some similarities, sedation is different from anesthesia. The latter deadens pain sensation; sedation aims to calm your emotions. The most common sedation is taken in oral form, usually a pill (or syrup for children) taken an hour or so before the appointment. Oral sedation is often used in conjunction with gases like nitrous oxide and local anesthesia. For a more relaxed state (especially during an involved procedure) we may use intravenous (IV) sedation. With this method we deliver the medication through a small needle or catheter inserted into a vein. IV sedation places you in a reduced state of consciousness. But it isn't a “sleep” state as what's achieved during general anesthesia, but more of a “semi-awake” state. You won't need assistance with breathing or heart function and you can respond to verbal or touch commands. Many drugs used for IV sedation also have an amnesiac affect, so you won't remember many details about the procedure. Depending on your level of anxiety, we can match the right therapy to induce calm and relaxation. Sedation can help you see dental visits in a more positive light so that it truly does become a life routine. World Cup Soccer Coach-Dentist Saves the Day!